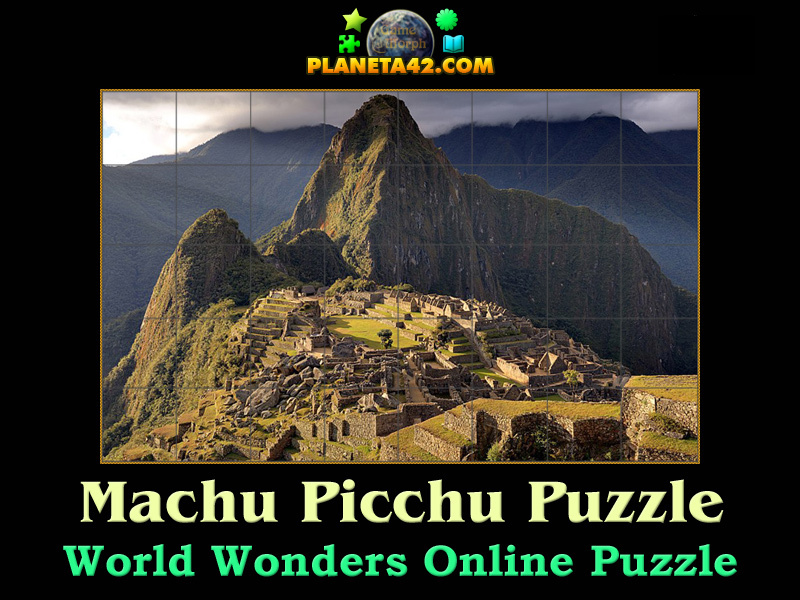 Machu Picchu world wonder in a fun online history puzzle. "Machu Picchu Puzzle" is a fun square rotating puzzle to sort 40 squares puzzle of the Machu Picchu wonder of the world. Fun online history puzzles for desktop computers, laptops and tablets, which may be played in the web browser. Wonders of the world game. 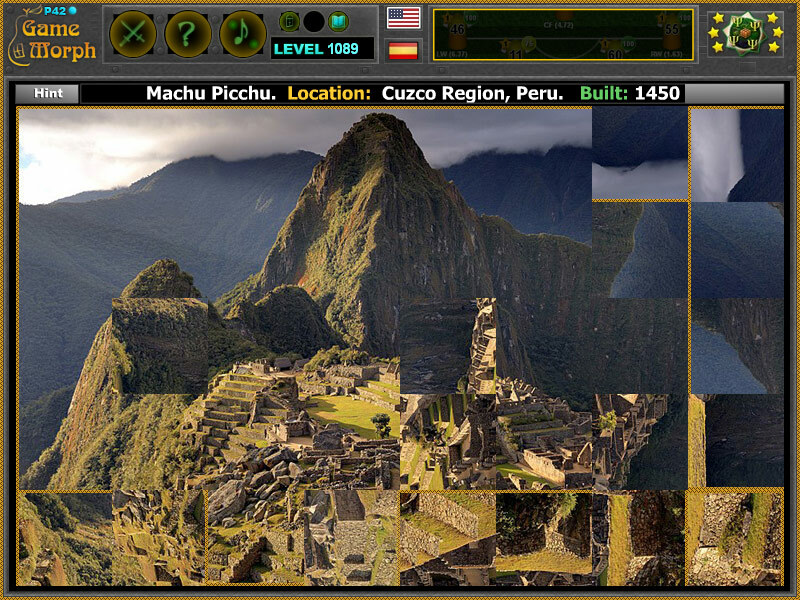 How to play Machu Picchu Puzzle. This is a common square rotating puzzle. Click on the puzzle pieces to rotate them, while they fit the original picture of the Machu Picchu. Use the "hint" button to see which pieces left. Class subject: The Machu Picchu. From Wikipedia: Machu Picchu is a 15th-century Inca citadel situated on a mountain ridge 2,430 metres (7,970 ft) above sea level. It is located in the Cusco Region, Urubamba Province, Machupicchu District in Peru, above the Sacred Valley, which is 80 kilometres (50 mi) northwest of Cuzco and through which the Urubamba River flows. Most archaeologists believe that Machu Picchu was constructed as an estate for the Inca emperor Pachacuti (1438–1472). Often mistakenly referred to as the "Lost City of the Incas" (a title more accurately applied to Vilcabamba), it is the most familiar icon of Inca civilization. The Incas built the estate around 1450 but abandoned it a century later at the time of the Spanish Conquest. Although known locally, it was not known to the Spanish during the colonial period and remained unknown to the outside world until American historian Hiram Bingham brought it to international attention in 1911.